Interlocks are designed to produce an action, due to a combination of events that may prevent undesired situations for safety of equipment and plant personnel. For process industries, the key requirement is to have adequate information and visibility on what equipment is and what is not on interlock. During non-steady state operations including start-up, shutdown, maintenance, testing and troubleshooting, interlocks can trigger more frequently, requiring more attention and focus for operators. Plant conditions are changing rapidly, triggering interlocks on equipment and instrumentation that can prevent certain processes from starting or stopping. This elevates the level of risk to multiple instrumentation and equipment that has implications from a safety and quality standpoint, but also drives down operational efficiency. during non-steady state operations during start-ups, process upsets and transitions that can impact plant production. Interlock information is usually stored in the form of customized graphics, which are derived from the cause and effect matrix, to aid the resolution of these ‘undesired’ conditions. These custom graphics are limited in terms of the in-built functionality and drill down capabilities to provide the right level of information for troubleshooting and problem resolution. Customized graphics are not easy to maintain and keep updated in line with operational conditions, which makes it difficult to resolve conditions quickly and efficiently, absorbing large amounts of resources. Interlocks can cause disruption and delay to production processes, and information to address these issues requires a more dynamic approach to visualize interlock conditions. It is important that this can be easily maintained, updated and readily available to operators, maintenance and engineering teams. Any disruption can result in production slowdowns and stoppages that can adversely affect production efficiency and costs. This solution was developed in partnership with a large chemical business in the US at their corporate headquarters, one of the largest facilities of its type in North America. As part of a major modernization program, several major automation projects were identified which presented an opportunity to do things differently, and do things better. One of these projects included a review of how interlock monitoring was being managed and if there was an opportunity to do things differently. Previously, interlock monitoring was implemented by a custom solution developed in-house, which was limited in terms of the resource and knowledge isolation. This approach offered very little support moving forward; especially as IT systems are always changing with software updates and upgrades. 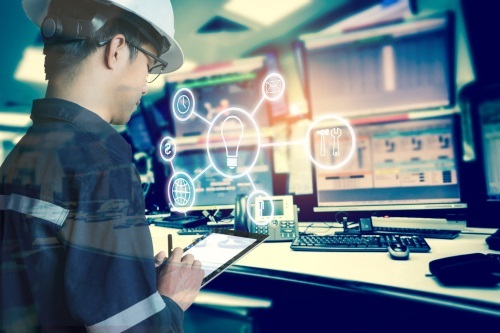 It presented an opportunity to re-imagine a different approach to interlock monitoring, moving away from doing things in-house to work with Yokogawa on the automation side of the project for stability and support moving forward. This solution replaces the need for specific interlock graphics to be created, managed and maintained which can significantly reduce engineering time and resources. The previous customized solution is no longer required, replaced with an intuitive web user interface that monitors all interlock data that can be deployed across single or multiple plants which is fully supported. Operators are able to quickly access interlock information directly from the ICCS in the control room, presenting real time status capture of interlock data to help maintain operations with integrated security via single sign-on. A single user interface provides a general display of the status of all interlocks across multiple plants for a full and comprehensive view of all interlocks. By accessing interlock information rapidly with hierarchy drill down capabilities, it assists operators in the quick resolution of interlock conditions to reduce production delays and slowdowns especially during non-steady state operations. Time can be reduce to implement projects or maintenance activities as interlock triggers and conditions are easier to identify and remedy. This supports both large-scale and small-scale changes in the process for all interlocks, initiators and actions. ICSS interlock configuration is simplified which reduces the ICSS configuration lifecycle maintenance costs.